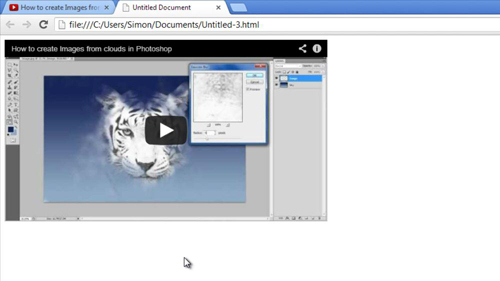 In this tutorial you are going to learn how to embed youtube in dreamweaver which is a simple procedure to learn. 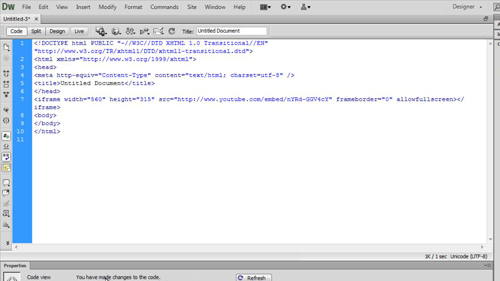 First, you need to get the HTML code that is going to allow you to embed the video into Dreamweaver. Visit “www.youtube.com” and navigate to the video that you wish to embed, scroll down to the tabs below the video and click on “Share.” Now, click on the “Embed” tab that has appeared and copy all of the text in the text box. Go to Dreamweaver and make sure you are in the HTML editing mode. Find the part of the website where you want to insert the video and paste the code here. In this example we are just inserting it into a blank page. Save the project and then navigate to where it is stored on your computer and open the file. 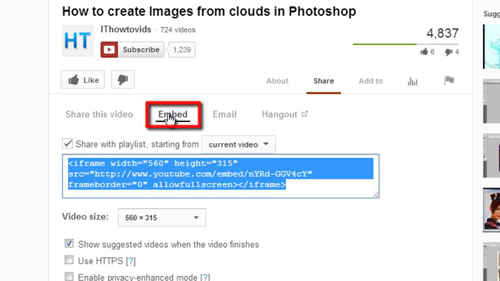 As we can see here the video has successfully been embedded and that is how to embed youtube in dreamweaver.